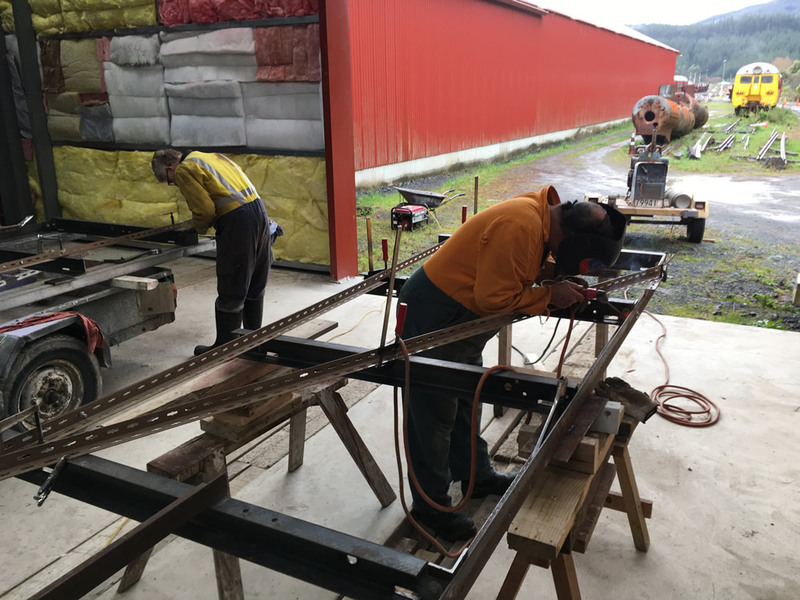 A new engine hood frame is being fabricated for the railway's 30-tonne diesel shunt locomotive - former Ohai Railway Board No.1. The original hood frame had rusted beyond viable repair during its many years outside, exacerbated by build-up of coal dust during the course of its work, and contact with aluminium engine hood doors. 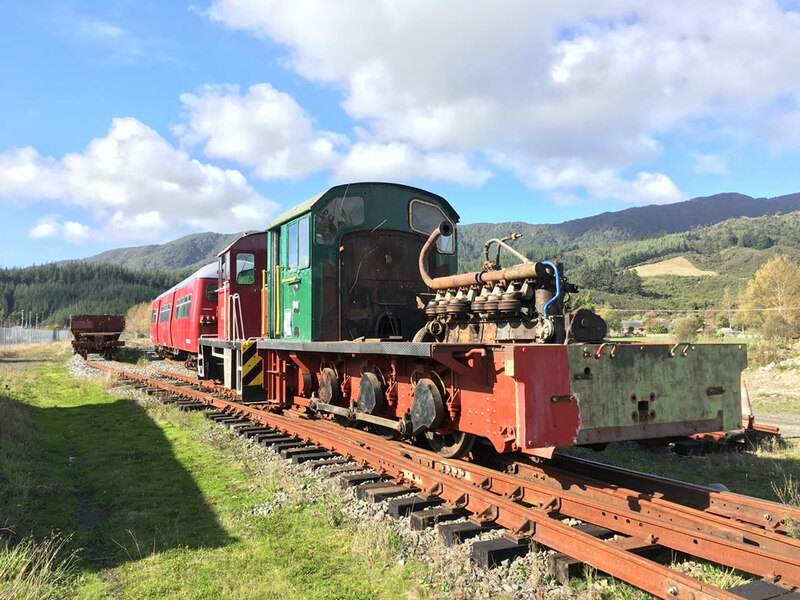 ORB No.1 with engine hood, radiator, exhaust system and diesel tanks removed - captured outside during a shunt in May 2016. 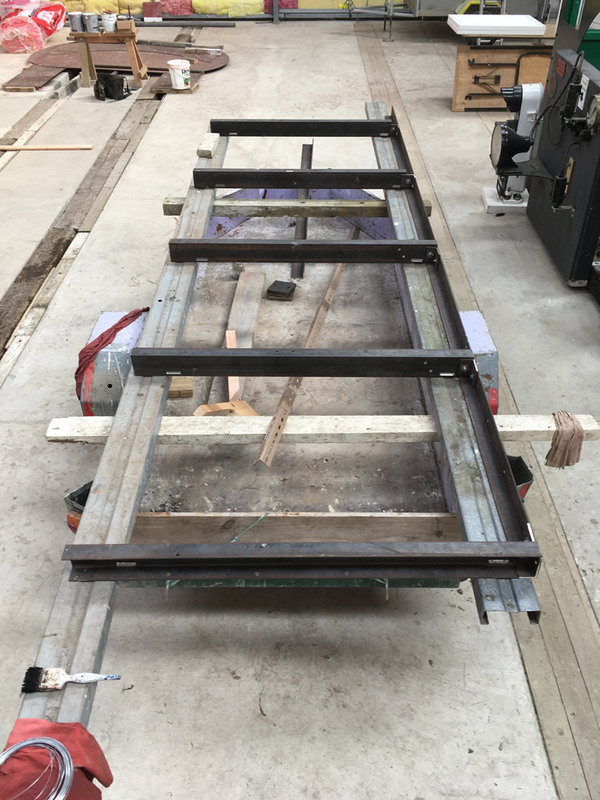 Steel channel and angles laid out in the railway's workshop ready for welding. Colin welding one half of the hood frame while Bruce prepares the second half. 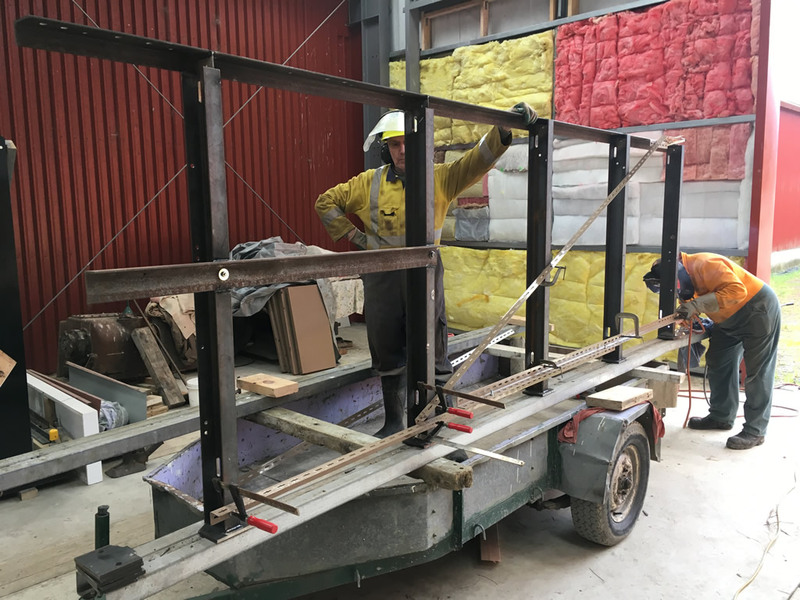 A support frame held the various components in place ready for the welding. We operate trains at Maymorn on the second Sunday of each month, 10am-4pm. Entry tickets are $5 per person or $15 for a family ticket, up to four rides per ticket, available for purchase at the gate. 247A Parkes Line Road, Maymorn, Upper Hutt.